This essay, by James Bradley, received second prize in the HART Prize for Human Rights Junior Essay Category. Read more entries here. Silence. It is eleven o’clock sharp at Kalaywa Tawya Monastery in Yangon. A seven-year-old sets his alms bowl on the table and sits cross-legged on the dining hall floor. He is one of 1,344 resident monks and represents one of the 19 ethnic groups. [i] He cannot recall exactly where he was born, what his name was, and how he ended up here. 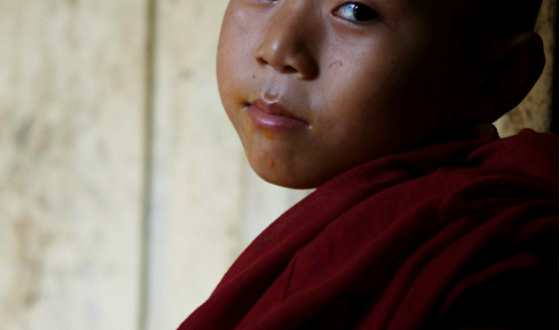 He only knows that his parents abandoned him for being the “naughtiest” one of his eleven siblings, and that the monks took him in and named him after his spoken language: Karen. [ii] The longer he stays in the monastery, the more he forgets his family, his language, and his tribe. 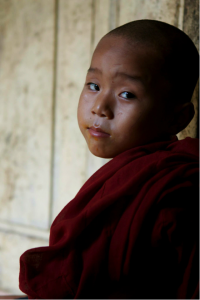 In a Buddhist society that promotes peace and harmony, how had it come to this for the orphan from the mountains? Buddhism is closely associated with the principle of non-violence, but Buddhist-majority Myanmar has been torn apart by fierce conflicts. [iii] Despite claims by the current President Thien Sen that the widespread reports of genocide are “a media fabrication,” all minorities – not just Rohingya Muslims – are in dire need of protection. [iv][v][vi] From Rakhine Coast to Kayah Mountains, various peoples suffer from human rights violations in the hands of government forces and armed civilians. Not only are they denied citizenship rights, but they are also suffering from violence, discrimination, and land-grabbing. [vii][viii] Those who stand and speak against such abuses face imminent danger. The international community has focused on the recent skirmishes between Kokang rebels and Myanmar military and the on-going conflict between Rohingya Muslims and Rakhine Buddhists. [ix][x] But let’s not forget the other minority groups – specifically the Karen people – who have been quietly pushed to the margins. Karen are no strangers to marginalisation and consider themselves “orphans” without a homeland. [xi] Throughout history, they lived at the boundaries and were caught in the crossfire of regional powers; today, seven million Karen continue to struggle against various forms of oppression in Myanmar. [xii] The government has systematically targeted Karen and employed brutal tactics: compulsory relocation, village annihilation, forced labour, indiscriminate killings, and enforced starvation, just to name a few. [xiii] These human rights violations were highlighted by the Back Pack Health Workers Team in 2006 and further supported by a few advocacy groups. [xiv][xv] However, with media attention on Muslims and Chinese minorities, the government seems to be getting away with its aggressive campaign against Karen. Of his past life, Karen, the orphan monk, hardly remembers anything at all. Not the bamboo huts, the dusty villages, or the terraced hills. Neither the faces nor the voices. Not the abject poverty or the violent persecution. He doesn’t know what he’s missing, but he still does. He has little knowledge of the conflicts raging outside of the monastery walls, yet he fears the worst. As he joins his fellow novice monks in a chant, he expresses gratitude for the gift of food, prays for his long-lost family, and hopes for peace all across Myanmar. Silence is broken. [ii] Sohn, Tae Kyung. Personal Interview. 22 July 2012. [xi] Gravers, Mikael. “Waiting for a Righteous Ruler: The Karen Royal Imaginary in Thailand and Burma.” Journal of Southeast Asian Studies. 43.2 (2012): 340-363. [xiv] Milbrant, Jay. “Tracking Genocide: Persecution of the Karen in Burma.” Texas Journal of International Law. 48.1 (2013): 63-100. [xv] Falise, Thierry. “On the Run: In Burma’s Jungle Hell.” World Policy Journal, 27.1 (2010): 57-64. [xix] Risser, Gary. “Running the Gauntlet: The Impact of Internal Displacement in Southern Shan State.” Humanitarian Affairs Research Project. Asian Research Center for Migration Institute of Asian Studies, 2003: 1-92. [xxi] Tangseefa, Decha. “Taking Flight in Condemned Grounds: Forcibly Displaced Karens and the Thai-Burmese In-Between Spaces.” Alternatives: Global, Local, Political, 31.4 (2006): 405-429. [xxiii] Deland, Claudio. “Suffering in Silence: The Human Rights Nightmare of the Karen People of Burma.” Karen Human Rights Group. Universal Publishers, 2000. Web. 31 Jan. 2015. [xxiv] Tanabe, Juichiro. 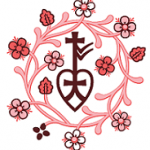 “Buddhism and Non-Violent World: Examining a Buddhist Contribution to Promoting the Principle of Non-Violence and a Culture of Peace.” Journal of Peace Education and Social Justice, 8.2 (2014): 122-149. Web. 31 Jan. 2015.